Welcome to Custom Quality Pet Furniture - Cat Trees and More! At Custom Quality Pet Furniture LLC we design our cat trees with the health and welfare of your cat in mind. 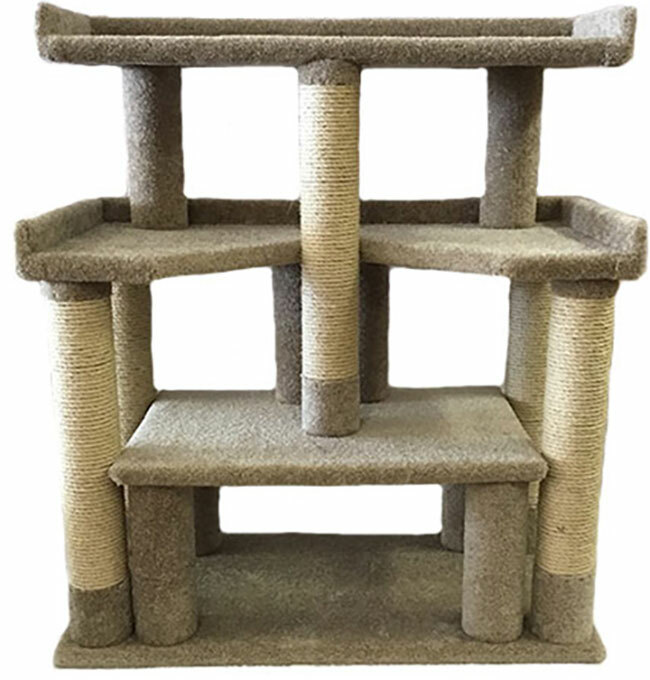 Whether you have a special needs or the most playful of cats, our stair step designed cat trees will accommodate them both. The products at Custom Quality Pet Furniture LLC are made with only the finest materials available in the United States. Whether you are in need of a Cat tree, dog steps or raised feeder, You can be assured you are buying a top quality product, handcrafted at our shop in beautiful Springfield, Ohio. We are proud to say Made In The USA. The quality of our pet furniture has always been, and will always be important to us. We are concerned about our pets health and we carry that same concern to the health of your pets!